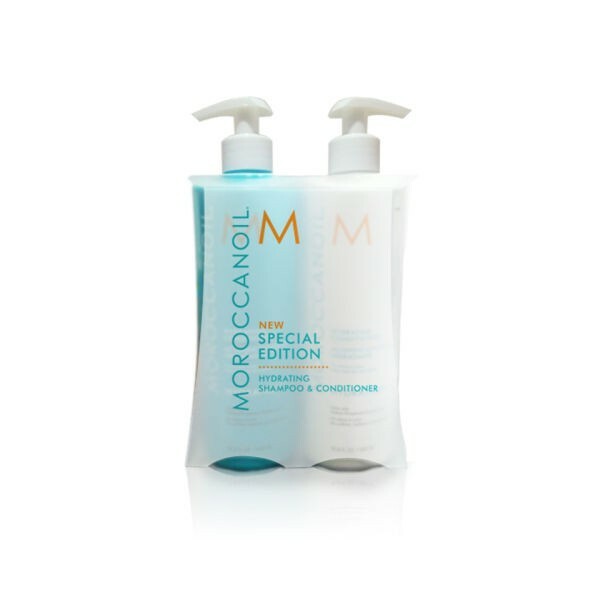 Perfect for anyone who suffers from dry, damaged and over-styled hair, the Morrocanoil Hydrating Shampoo and Conditioner Duo Set helps to resore moisture levels and leave your hair with a healthy shine. Deep cleansing and moisturising, the Moroccanoil Hydrating Shampoo rids hair of dirt, excess oil and product build up alongside restoring lost moisture. Made with a blend of intense hydrating and antioxidant ingredients, chemically, environmentally and heat damaged dry hair is moisturised and made manageable. Partner to the Hydrating Shampoo, this hydrating conditioner further helps to restore and lock in moisture, while detangling, smoothing and softening hair. Hair is left smoother, healthier and shinier looking.